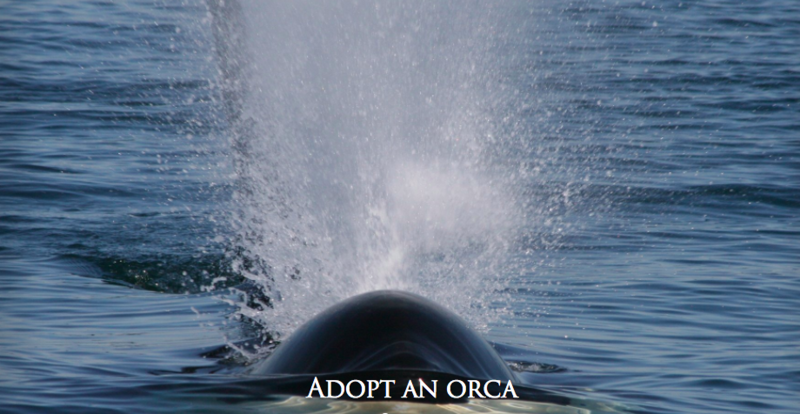 Whale Museum in Washington enables you to adopt an Orca and support research with Gifts that Give Back. This season, why not skip the long lines, reduce click-fatigue, save money, stay warm, help a good cause and get some adorable gifts that give back? You can live your family values out loud by spending your gift allowance to show the kids how to support many wonderful adopt-an-animal programs, educational initiatives, and life-changing organizations that work around the world. Here are some of the organizations that our families support and the tangible gifts the provide at the holidays for donors. Put one of these gifts that give back for everyone on your holiday list. Stumped for holiday gift ideas? Kids interested in taking care of animals? 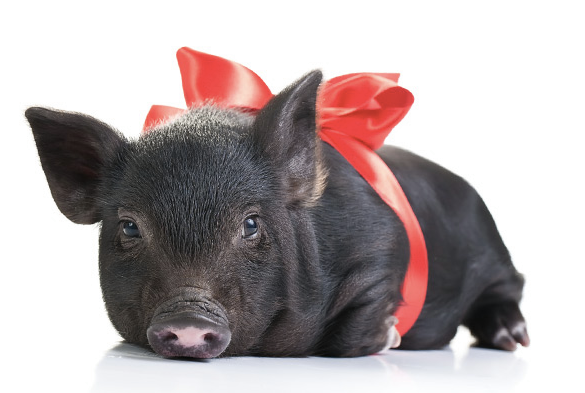 This holiday season, you won’t actually have to feed and clean up after your child’s new pet because many animal conservation programs send certificates and pictures instead of the actual animal in a virtual adoption. Your kid will get to track their new adoptee, learn all about where it lives and how it survives. Best of all, it’s incredibly affordable (unlike that new gaming console). It’s a gift that gives back that your kids will love. The World Wildlife Fund offers many opportunities to help protect endangered animals, including wonderful gifts that give back. For $25 to $1,000, your family can help conserve an elephant, polar bear, tiger, orca, panda, snow leopard. or other species For $55, for example, you can adopt the animal of your choice and receive a plush toy, an adoption certificate, a photo, a species, and a gift bag. For $55 to $100, you can adopt a Sumatran Rhino (or other animal) and receive a plush toy, gift box and tote bag, educational card, photo, and adoption certificate. For $500 you will receive a new plush animal, certificate and informational material once a month until you’ve virtually adopted 12 endangered animals in a year. Planning adventure travel? We love the option to select animals by destination to get to know them in advance. A friend whose daughter is in love with snowy owls discovered that the Sierra Club offers snowy owls, sea otters, manatee and red fox to their collection of 21 animals. There are even a tarantula and honey bee for adoption. It’s also just fun for animal lovers who love gifts that give back. A $39 contribution includes a plush animal, a booklet with interesting animal facts and a sticker; a $79 contribution also includes a backpack. The Koala Preservation Society of New South Wales, Australia rehabilitates these cute animals when they’re sick or injured and then releases them into the wild. Their Adopt-A-Wild-Koala program based in Port Macquarie starts at only AUS$40 (about US$30) and makes a great holiday or Christmas present. It includes a Certificate of Adoption with a picture of the koala, your child’s name and the name of the koala, and the date of adoption on it. For AUS$70, you will also receive a story about your koala, a booklet about koalas a vinyl sticker and a bumper sticker. You, or your child, choose to adopt one of the 40 distinctive koalas, and the adoption money will help rehabilitate and treat them. Visit Koala Hospital for more information on how to adopt one of these cuddly tree-climbers. If you know a child who loves ocean animals, then adopting a sea turtle or manatee — or an Orca, for those who think big — can be the ideal gifts that give back. Both of the following programs (adoption packages start at $20 – $30 respectively) include adoption certificates of these amazing creatures, pictures of the adopted animal, and handbooks or newsletters that make a sustainable and educational gift. The Adopt-A-Manatee program at Save the Manatee also promotes sustainable and eco-tourism events around central Florida, and at many, you can see the creatures up close. Even a gift that gives back of $20 means your loved one can enjoy a 2019 calendar of manatee photos all year. Adopt-A-Sea Turtle gifts animal lovers with a personalized kit from the Sea Turtle Conservancy, which has been doing this important work for more than 50 years. On their website, families can virtually adopt any species of turtle: the leatherback, Kemp’s ridley, and green turtle are considered endangered and the loggerhead is listed as threatened. Once adopted, you can follow the turtles they are tracking by satellite. If kayaking Puget Sound around the beautiful San Juan Islands off of Washington is on your bucket list, like ours, then your family will want to Adopt-an-Orca, a program run by the Whale Museum in Friday Harbor. Select the Orca of your choosing from the many they know by name, and for $35 per year you can find out how they’re doing and learn much more about this unusual breed, plus get 10% off online at their gift shop if you need a more tangible token of this conservation effort. Then, you’ll be a paid-up member when you finally get to the islands and can visit the museum in person, or take one of their amazing six-day Marine Naturalist training programs, given three times a year. You can support many worthwhile non-profit groups whose work represents an incredible gift for all ages — even if it’s only a greeting card with a powerful story — all year long. At Oxfam Unwrapped, you can purchase any number of items that will be sent to people around the world who really need them. Everything from water to school fees, a $10 chicken for a Vanuatu family, a $39 goat, or $120 for a pig, a goat and 2 ducks to a farmer and his family; to calves; to bees; to sheep and a veggie garden can be given as gifts that give back. Your giftee will receive a very clever card that explains how your gift helps fight poverty. Heifer International is another great charitable organization with a stronger focus on giving animals to impoverished people around the world. Their online holiday catalog is full of stories about heifers ($500) that helped families build new houses, sheep ($120) that provided warm coats for children in winter, and a flock of chickens ($20) that fed them. Partial contributions from $10 and up are pooled with others to fulfill these needed gift items and to support educational programs in lesser developed regions. The World Vision Gift Catalog offers a similar program that funds hundreds of life changing, life-saving opportunities and gifts that give back to help children and families. An ongoing gift, sponsor a child for $39 per month and, through correspondence, watch as the child and his/her community grow with your support. The Christian giving organization also offers more than 100 gifts for moderately priced donations such as $110 for a goat and two chickens for a family, or $35 for $280 worth of necessities such as brand-new clothing, blankets, personal care items and even toys for poor children in the U.S. The gift recipient in turn receives a special card describing the gift that was purchased and the impact it will have in the life of a person in need. Help your child give a gift to another child through Save the Children, for an incredible bonding moment. Choose from an online catalogue of items ranging from $15 (one soccer ball) to $5,000 (animals including multiple goats, sheep, cows, chicks and camels for a whole village). 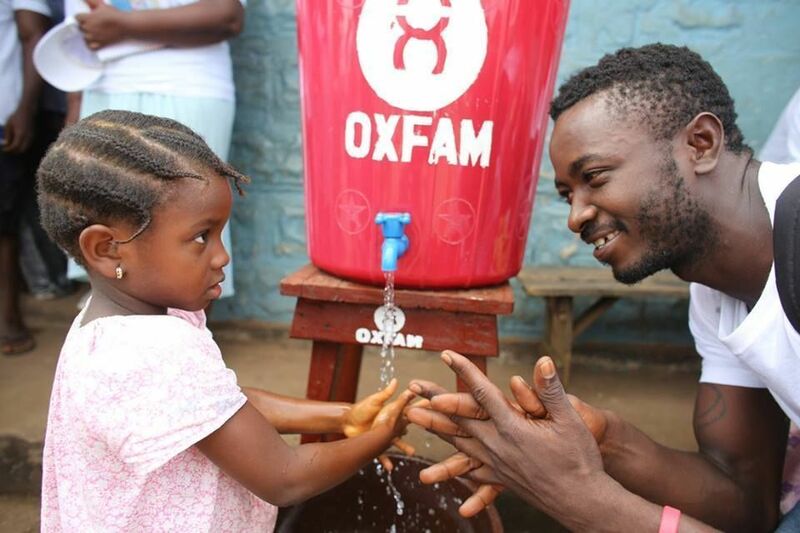 This is one charity where you can focus your donations on relief and emergency funding, especially important during the year of terrible hurricanes, earthquakes, fires and volcanoes we endured in 2018. For $100, you can support a refugee family with a care package filled with hygiene essentials and baby care items. Lots of other people on your list, including Grandma and Grandpa, will enjoy a gift given in their honor to help improve the lives of children and families in need around the world. Want to give back with your child through a family purchase? Of the many sites out there, DonorsChoose.org, founded in 2000 by a High School teacher in The Bronx, NY, allows families to pick what type of school project, field trip, sports team, activity or need they want to support, then search the site’s collection of requests that have been made by teachers around the United States. To raise money for a variety of causes, upcoming projects, and non-profits, the online auction house at Bidding For Good can’t be beat. It’s so easy to use their Commerce for Charity system that grade schools can do away with bake sales, and youth groups or other organizations can upload their donated Major League Baseball tickets, Paris walking tours, or even Amazon gift cards so everyone can take part in the worthwhile bidding process. Thousands of happy customers and hundreds of thousands of bidders have found causes to support, whether in pursuit of stocking stuffers or major holiday presents, raising over $330 million for schools and non-profits. Picture this. From Black Friday and Cyber Monday through late December, millions of people spend too much money on silly or trendy holiday toys, presents and gadgets that are lost, broken or disposed of by mid-year. (Unlike the frequent-traveler gifts in our holiday roundup.) Don’t use this holiday to give another unwanted gift that will soon be forgotten. Instead, help a good cause and let your child (or your nanny, or your neighbor, or your boss…) take part in changing the world. You can start on Giving Tuesday, the universal day of giving back following Cyber Monday, and keep shopping and contributing all year to a better world for all. It’s also the perfect chance to introduce the idea of gifts that give back. We guarantee that helping others will put a smile on anyone’s face. And, don’t forget… all these gifts are tax deductible. What kind of gifts that give back are you looking for this year? Let us know your favorites by leaving a comment below! Prev Article Prev Article What’s Red and Black and White All Over? A Caviar Lobster Roll! Great to see! Thanks for sharing.